Are you having a vintage-themed wedding? 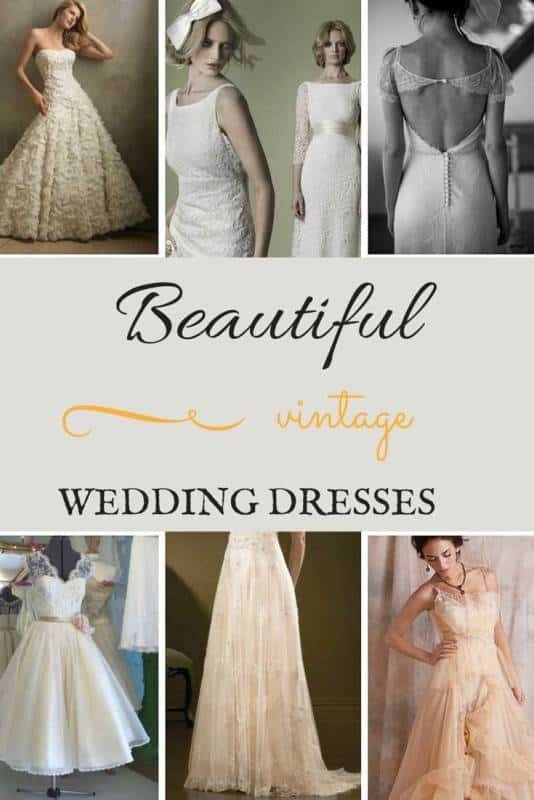 If you’re worrying about finding the perfect vintage wedding dress that you should get, this is a great post for you. Here are some absolutely breathtaking vintage wedding dresses that will give you some inspiration when choosing your own! The back on this dress is very low, but features a button connection at the top in sheer and airy lace. This is a unique look and is really beautiful. 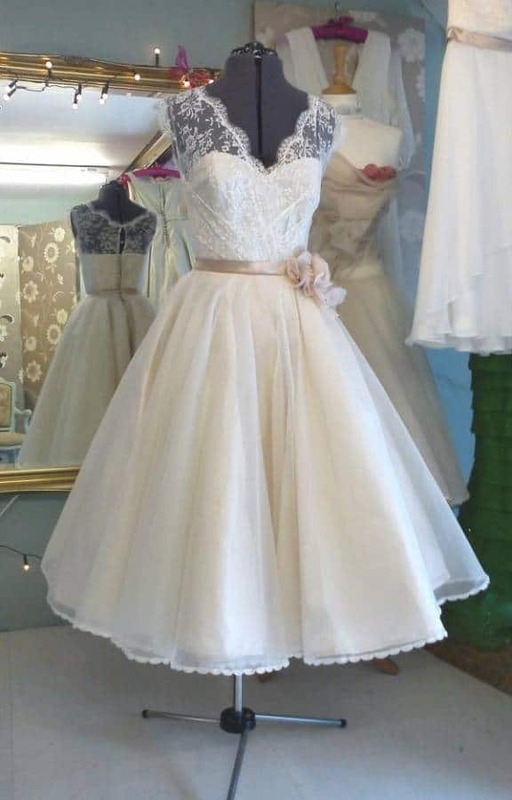 This short wedding dress is vintage and has the classic lace look for the bodice and sleeves. The blush colored ribbon that wraps around the waist is a beautiful adornment and really brings out the figure. 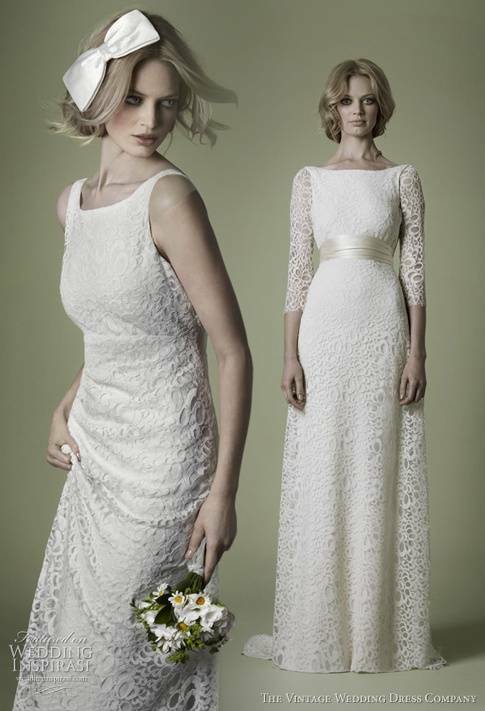 Lace and very airy and light, this dress looks as though it could be worn by Juliet. It has a sweet look that would really work for any sort of theme. Add a braided hairstyle and you’re good to go. This lace cut out dress is absolutely beautiful and looks couture. The model in the picture pairs it with a matching hair accessory but it would look beautiful with an updo or a long flowing hairstyle. This peach colored vintage wedding dress features tons of sheer fabric that gives the bride the tender look of a blooming flower. This sleeveless, vintage wedding dress is an off white and is textured so it’s absolutely beautiful. This would work very well for a fairytale or other vintage themed wedding. These are just a few ideas that might help you decide which route you want to choose for your own vintage wedding dress. I am in love with the 2nd dress ! I need it for my wedding !!!! Where can I find it????? Does anyone know where that first one is from? I really want to find it!!! Where can I find the first dress ? Anyone know the designer? I second Toni! I would love to know the designer for the first dress, or where else I can find it and see what the front looks like and the rest of it. This is the style for me!